The worlds of Wes Anderson are heartfelt places that have their own delightful little charms. Steadily building these environments, alongside unique aesthetics, characters, mise-en-scene and poignant writing, an Anderson film is a vivid trip into colourful tweeds or vistas- whilst expressing genuine human emotion. 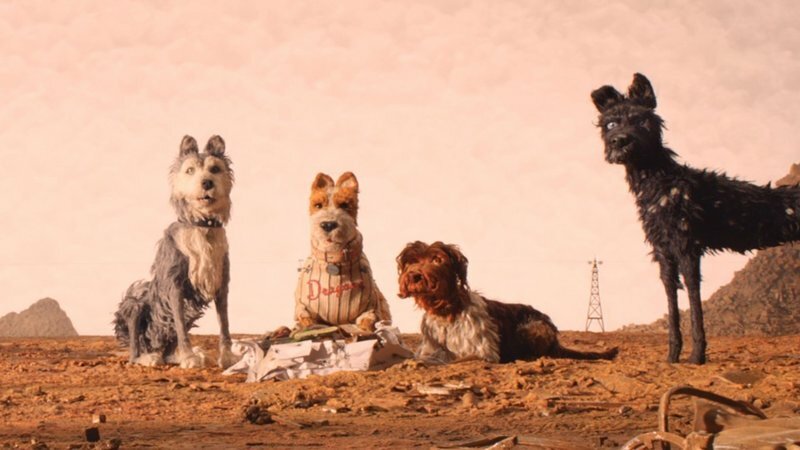 Following in the animated footsteps of Fantastic Mr. Fox (Wes Anderson, 2009), Isle of Dogs progresses his distinctive tone with further emotive filmmaking – a form only achievable by a select few creatives. Working in this mould, it cements the auteur’s capacity to speak to profound human truths through beautifully realised moods. This Eastern futuristic land yields tenderness that swiftly transcends the stationary nature of its canine characters. Taking place 20 years into the future in the Japanese megacity of Megasaki City, all dogs have been banished from society by the executive decision of Major Kobayashi (Kunichi Nomura). Infecting their immune systems with flu to cause mass hysteria, it is a political move that symmetrically reflects Putin’s Russia. Predating the action with a quaint flashback to the centuries of fighting between the cat-loving Kobayashi family and free dog loving people of Japan, it is an approach that foregrounds the cyclical presence of fairy-tales in global storytelling. Executed with nuance, it’s an example of how to approach short retrospective narrative, recently evident in Black Panther (Ryan Coogler, 2018), though exempt from praise of a similar approach in Detroit (Kathryn Bigelow, 2017). Part of an Alpha pack of dogs, Chief (Byran Cranston), Rex (Edward Norton), Boss (Bill Murray), King (Bob Balaban) and Duke (Jeff Goldblum) are all stranded on Trash Island due to Major Kobayashi’s punishment. Living off scraps and fighting other packs to win the garbage, their domesticated lives are sorely missed. Unlike his fellow dogs, Chief is a stray who was raised in the streets, away from the luxuries of dog food and pedicures. Crashing on the island in the attempt to find his lost dog Spots (Liev Schreiber), Atari (Koyu Rankin) finds solace in the pack and their unanimous decision to help the 12-year-old boy. Journeying to the ends of Trash Island, the narrative maintains a classical edge. Spawned by the power of the internet, the social media posts of ‘Accidentally Wes Anderson’ corroborate the captivating designs that the director and his creative team conjure. Created by Mackinnon and Saunders, a Manchester-based Puppeteer company, the dogs are bespoke intricate creations. Infused with fur that sways in the wind, accompanied by little ticks, the stop-motion moves as though it was digitalised, not handmade. This slight of hand leads to the creatures being anthropomorphic in movement and feeling. Fusing together with the talent of the voice cast, featuring the likes of Greta Gerwig’s Tracy Walker to Frances McDormand’s Interpreter Nelson, the ensemble cast intertwine with their puppets to an idiosyncratic affect. Transitioning through the world with clean whips and pans, Tristan Oliver’s camera merges with the editing of trio Edward Bursch, Ralph Foster and Andrew Weisblum to extend the sharp script’s humorous and tender moments. 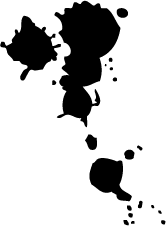 Flowing, these two factors help the film’s visual language be a kaleidoscopic affair. 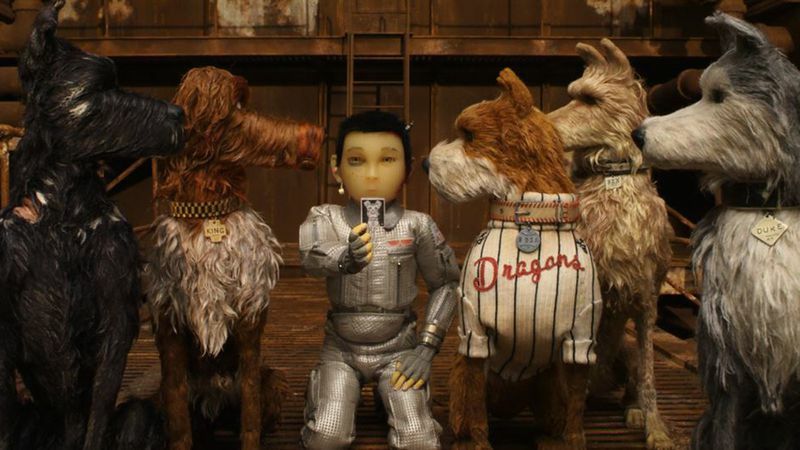 Behind the images, the script of Anderson, Roman Coppola, Jason Schwartzman and Kunichi Nomura absorbs itself in an abundance of dog related puns. Blending the comedic with some tragic, the screenplay is finely poised being which leaves a glowing presence of elation. 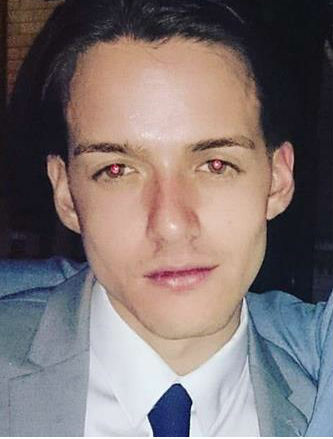 In his recent review for the Los Angeles Times, the critic Justin Chang suggested that ‘Anderson, a stickler for verisimilitude even in the weirdest situations, has the human residents of Megasaki City speak their native Japanese, a choice that would seem respectful enough except for the conspicuous absence of English subtitles.’’ To this end, the critic constructs a point well worth noting. Still, one cannot outright claim this is total ‘cultural appropriate’ as all of the tones of the film come from a place of love, not ridicule. Anderson does allow his film to be entered into the age-old debate of appropriation vs appreciation, however. Flourished with odes to Japanese culture, specifically Seven Samurai’s (Akira Kurosawa, 1954) Fumio Hayasaka’s score, there is an omnipresent ubiquitous devotion towards Eastern culture. Heightened in a comical dog-related take on Hokusai’s The Great Wave off Kanagawa, the appreciation outweighs the appropriation in my book. In his later work, Kurosawa explored the very nature of grand tales in Ran (Akira Kurosawa, 1985) and Dreams (Akira Kurosawa, 1990), resonating to the core of Anderson’s newest feature. 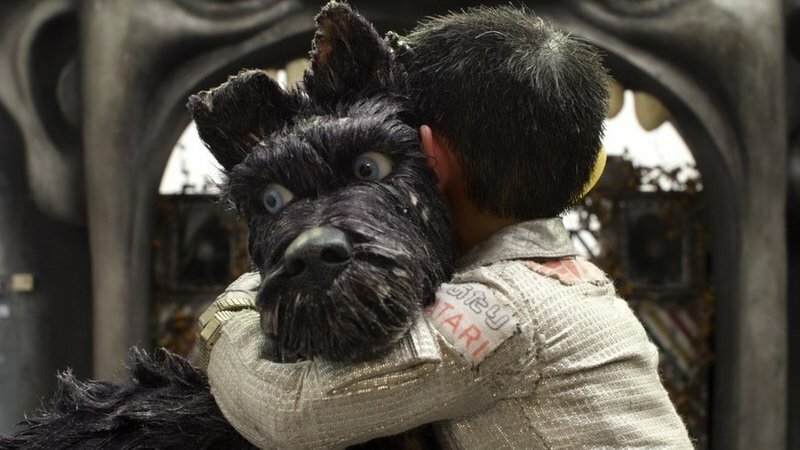 Aside from any supposed acts of cultural misappropriation that Isle of Dogs may uncover, Anderson writes a love letter to man and his best friend that unexpectedly hits a deeply profound level. Enwrapped in the form of endearing puppeteer characters, one could be mistaken to think its sweet nature is only for aesthetic purposes. Great things truly do come in small boxes. Isle of Dogs is out on Friday, 30th March. It’s available on VoD from Monday, August 6th.